There is nothing more important for a restaurant than its menu, but right behind that is the atmosphere and look of your business. Every detail surrounding your restaurant is there to build a unique and comfortable environment, and the curb appeal should be nothing short of intriguing. Metal awnings can make a unique and inviting first impression, and providing that initial welcome can be the key to sprucing up your business. Metal awnings and canopies provide an inviting and welcoming dining experience that serve both aesthetic and practical purposes. 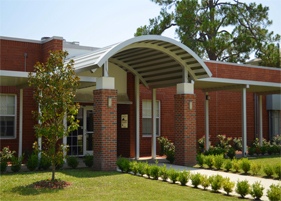 Not only can you have your awning designed to match your brand, but they can also provide protection from the weather for guests waiting or walking in from outside. 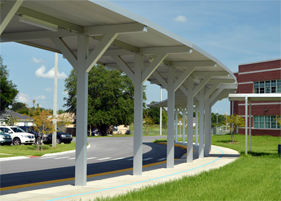 Compare your building with and without an awning. It’s more than likely that the appeal of your building will greatly increase! Awnings will help set the ambiance to what’s to come when guests enter your business and will attract attention and new customers to your restaurant. 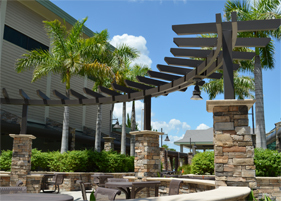 Commercial canopies give your business extra room to serve guests and give customers the option to enjoy their meals outside. Every now and then we all enjoy eating our meals outside on a cool fall day! If you’re utilizing awnings outside of windows, you can also save money on your energy bill! Aluminum sunshades help deter the warmth of the sun and can help keep the temperatures inside cooler, which reduces the demands of your air conditioner. Whether you’re investing in sunshades or canopies, you can’t go wrong with long term aluminum solutions to suit your business. 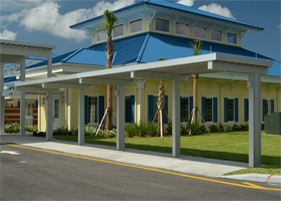 Perfection Architectural Systems provides customers with high quality canopy solutions for any type of commercial project and can help design a structure that’s right for you. 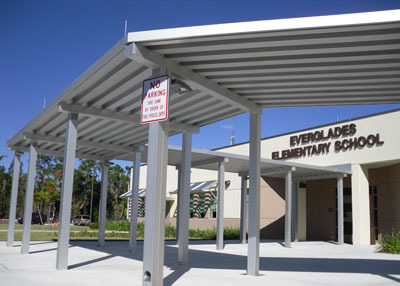 Call us at 800-238-7207 to learn more about our metal awnings.